(TibetanReview.net, Nov02, 2018) – The Karmapa has cited difficulties presented by the government-of-India-issued Identity Certificate (IC) at airports, including even lack of acceptability, to explain why he had to acquire a Commonwealth of Dominica passport. IC is the document the government of India issues to Tibetans living in the country for their foreign travels. Some governments do not recognize it while many others insist on a return visa from the government of India as a precondition for considering such a Tibetan applicant for the issuance of a visa. In a video message posted on his official Instagram account on Oct 28, the head of the Karma Kagyu Lineage of Tibetan Buddhism has explained that he acquired the Dominican Republic passport in order to ensure ease in his movement for carrying out his religious duties and that he had informed concerned Indian government authorities about it in May 2018. Explaining the difficulties encountered by him at airports, the Karmapa has said some immigration officials do not even recognize the Indian IC on which he was travelling. The Karmapa has expressed hope that India would issue him a visa on that passport to enable him to travel to the country at the earliest. “As a religious leader who has to travel frequently to carry out my responsibilities, I was advised and felt it necessary to obtain a passport. I have applied for an Indian visa using that passport so that I may travel to India as soon as possible,” he has said. 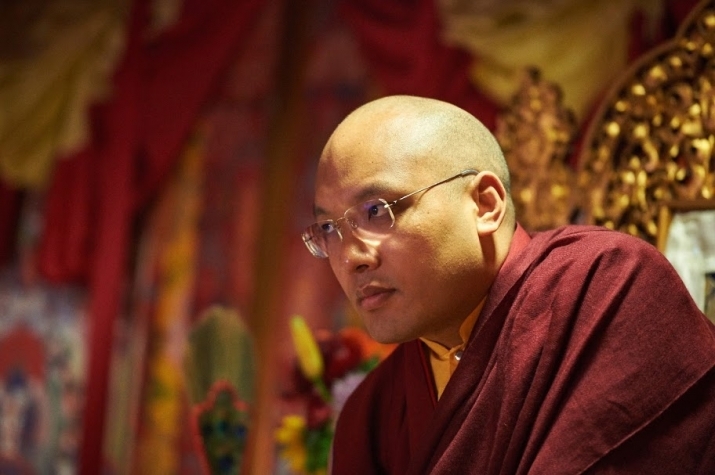 The Karmapa plans to take part in a meeting of top Tibetan religious leaders in Dharamshala in November, during which Tibet’s exiled spiritual leader, the Dalai Lama, may present a discussion on his future reincarnation or successor. The Dominican Republic recently switched diplomatic recognition from Taiwan to China, which might complicate India’s reaction to the Karmapa’s visa application. Please note that the Commonwealth of Dominica and the Dominican Republic are two different countries. The 17th Karmapa acquired a passport for the former not the latter so the final paragraph is irrelevant.